Donald Trump, the presumptive Republican nominee for president, has released a list of 11 potential Supreme Court justices he plans to vet to fill the seat of late Justice Antonin Scalia if he’s elected to the White House. Reading through the TPM comments on the post there on this subject, it seems like we’ve got some cherce* ones here. Any of our legal types care to chime in? 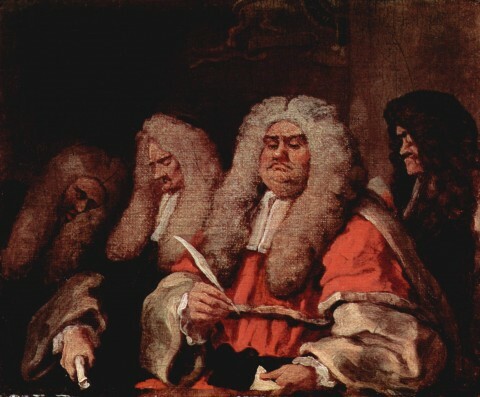 Image: William Hogarth, The Court, c. 1758. I know that I’ve used this before. But it’s just perfect whenever the topic of GOP jurisprudencerecklessness comes up.